Yglesias is, of course, completely right. In fact, human capital stagnation seems to me a much likelier culprit for a "Great Stagnation" than the dubious hypothesis of a slowdown in technological innovation. People can't spend their whole life in school, so education really is "low-hanging fruit". There is some improvement here, but as you can see, just over a third of Americans of college age is actually enrolled in college. Furthermore, as Matt points out, a lot of that increase is in crappy for-profit colleges from which few people actually graduate, and which teach skills of dubious value. There is plenty of room to increase enrollment. In fact, since high school dropout rates have fallen to 10%, and since postgraduate education really isn't for everyone, increasing college enrollment (and completion!) might be our best bet for increasing our human capital. While college enrollment rates are up a little over 50% since 1980, the price of college is up by over 1000%. More people want to go to college (probably because of the higher college wage premium), but the supply of high-quality colleges simply isn't that big. People are flocking to for-profit colleges because there just isn't room at public ones. And since there are good theoretical as well as empirical reasons to believe that for-profit universities just can't deliver the goods, the key fact of U.S. higher education would seem to be the stagnant number of spots at good universities. As Yglesias says, colleges are getting more expensive, but not bigger. Which brings me to my idea of the day: A federally funded National University System. 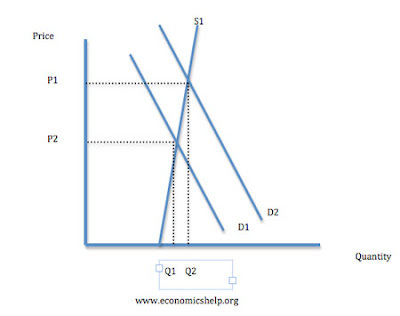 When you have a supply shortage, one solution is to shift the supply curve to the right. Sometimes this is impossible. But in the case of U.S. public universities, it is very doable! Plenty of other countries have national university systems, and these national universities are often very high-quality. Why not us? Why don't we build a system of high-quality, federally funded national universities to co-exist alongside our already excellent state universities? It's not as if we don't have the resources to do this. Land is not an issue. And academic jobs are in notoriously short supply, meaning that there is a huge pool of qualified PhD's ready to teach and do research. We bring the best and the brightest to get PhD's here, and then a bunch of them end up returning to India, China, or Korea...why not keep more of them here as professors? As for Constitutional objections, note that we already have a number of federally funded universities.Ever hear of West Point? Now, people who are opposed to this will say: Isn't this a risky undertaking? Suppose you build the national universities and you can't find enough high-quality students to fill them? In other words, what if demand for college enrollment has gone up in the U.S., but demand for high-quality college degrees hasn't, because we just don't have any more smart kids? I highly doubt that this will prove be the case, since graduation rates have stayed constant or increased as enrollment has gone up. But even if we run out of smart kids, we have an easy backup plan to fill the national universities: overseas students. The world is a vast and infinite pool of smart kids waiting to be tapped. Now it's true that if we have to go shopping for smart kids overseas, the National University System won't do as much to reduce nationwide tuition costs (because that'll push up demand to match the increase in supply). But at least we'd wind up with a ton of imported human capital (assuming we let the overseas undergrads immigrate after graduating)! And the spillover benefits from more top-quality research universities are potentially enormous. The U.S. depends on innovation and research for its prosperity, and yet federal spending on research and development has fallen by two-thirds since 1960, leaving private companies to pick up the slack. There are plenty of research activities that universities do that private firms can't, especially basic research. If the U.S. is to remain the world's technological leader, a National University System would seem to be a good move. To sum up: a National University System would boost human capital, would boost research and development, and would probably reduce tuition costs. The U.S. has the world's best universities, and we should capitalize on this advantage. Until a rigorous cost-benefit analysis is performed, of course, I can't say with certainty that the benefits would justify the expense of building the universities. But it is an idea worth thinking about, and I don't really see anyone suggesting it. So here, I've suggested it. Update: Niklas Blanchard at Modeled Behavior basically agrees. But there is one point of mine that I think he doesn't quite get. He asks: "But why would there be a supply shortage at such high tuition rates?" His answer is that universities require such huge initial investments, and take so long to pay off, that building them is not feasible for the private sector. I think that although this is true, the main reason for the supply shortage is that schools don't "pay off" in the traditional sense, ever. Colleges just seem to only work well as nonprofits. And the only people who are willing to invest huge amounts of money in nonprofits are the government and rich private individuals (e.g. Leland Stanford). We have a supply shortage because governments make the decision whether or not to build new public-school campuses (and recently they have not done so), while colleges themselves can only respond to skyrocketing demand by raising price. [T]he shortage isn’t so much of “universities” as it is of prestige. You could hire some people with PhDs and throw a few classrooms together pretty easily, but it would be extremely difficult to replicate the decades of history associated with America’s selective colleges and universities. This is the old "signalling" model of education, which holds that college doesn't really give you useful skills, it only serves to prove to potential employers that you are smart and/or hardworking. In this model, a school's prestige is valuable because it sends a better signal. I won't rehash the signalling debate here. But I would like to ask Matt: If you think that college is all about prestige and not about human capital, why did you equate human capital with years of schooling in the first place? Given that 95% of the populace graduates from high school, you pretty much have to think either that A) college gives you human capital, or that B) human capital shouldn't be measured in years of schooling. Pick one! 1) Even in Leland Stanford's day this was extremely rare. Stanford University is actually one of the youngest of America's elite schools, and probably only came into being because there were no elite schools in California in the late 1800s; in fact, Leland Sr. initially contemplated making Stanford an arm of Harvard! 2) Although I think Niklas is right about the globalization of charity, it seems to me that private universities have never been that huge a factor in terms of numbers in the U.S. Schools like Harvard and Stanford grab headlines, but have small fractions of the enrollment levels of Berkeley or the University of Michigan. 3) Niklas doesn't mention Baumol's Cost Disease by name (though he uses Baumol's favorite example of classical music! ), but I think that's what he's getting at. Starting a top university is just a more expensive undertaking than it used to be...and it was always insanely expensive. But also keep in mind that large amounts of the funding for top public universities comes from charity (private alum donations). 4) Remember that universities don't just create human capital, they do research too! And research is as pure of a public good as exists anywhere. So government subsidies for research institutions are likely to get a lot of bang for their buck. these national universities are often very high-quality. Why not us? Short simple answer. No political will. We are in austerity mode, with basic education getting cut in many states. In my MI community, teachers just got hit with a 10% pay cut. AZ is far worse. Another aspect is that reactionaries really don't like education, and they have way too much political clout. You have a great idea, but it's DOA. This a remarkably simple point but an underemphasized one. Funding a huge push for new universities seems like a great idea, but John Bound would argue that kids don't seem to be responding realistically to current costs and benefits. The rise in the value of the college-HS wage gap has generally outpaced that of tuition but college enrollment has been pretty stagnant. I agree that more, cheap schools would be better. However, I stopped reading when I came to your part about West Point. National universities are not constitutional. West Point is an exception because it educates the armed forces. Maybe your idea can be passed under the commerce, like the national highway and railroads? Yet states have already provide this so to wrestle it from them is dubious - the University of California system would be very unhappy to compete with a University of the United States system. I think the better idea is to throw money at states earmarked for university-level education. We have a bunch of governors, like Mitch Daniels who want to privatize everything from toll roads to kindergarten. Gov Daniels is on Indiana TV stations promoting the for profit Western Governor's University and paying Indiana tax dollars for students to go online rather than fully funding the expansion of community colleges. My son is about to head off to Muhlenberg, which we could just barely afford b/c of generous scholarships and grants. Every other school, including the state school he applied to were out of reach. He knows so many kids that can't go to college b/c of cost or who are going to a two-year school for the same reason. (nothing necessarily wrong with that second option) During the process of applying to schools and waiting to hear from them, we have talked about the idea of national universites that would do what you're talking about. I just fwd'd him this article as an example of really well-constructed persuasive essay. He's going to flip for the topic. Thanks for writing it. Also, when we talked about the idea of national universities, we also took dreamed about using all the vacant factories and mills all over the country. The ones in Amsterdam, NY are particularly painful to me since my family is from there, but, of course, they exist throughout the country. I think that's why you meant by "no shortage of land". That point can't be stressed enough. Those empty factories crush communities' souls. Last - re: no political will. There used to be no political will for destroying our public education system and now we're on the threshold of that happening. Start now and in thirty years, we may have an affordable, quality university in Amsterdam, NY. It's worth a try. Lots of your reasoning is wrong, Noah, but I'd agree with your conclusion, that we could use a nationalized university system. What we used to have was more like that. Then along came Ronald Reagan, who didn't want universities to be socialist institutions, but wanted them to run like businesses. The rest is the history of the past 30 years. The bulk of grad students since then have been rich or foreign, since poor US citizens could no longer afford it, while foreign students are largely subsidized by their governments. It wasn't that way before Reagan, when we saw educating our own citizens as a worthwhile investment. Your arguments about human capital, though, I don't agree with at all. We don't have enough university jobs for graduates now, and businesses don't value human capital like they used to - technological capital is just cheaper. The rule for hiring hasn't been best qualified for well more than a decade - it's been best fit - qualified but inexpensive. That's because of the extent to which technology makes up the difference in productivity. I know you don't buy that, but it's true. Untaxed profits discourage capital investment, and technology devalues human capital investment relative to the already lower cost of equivalently productive technological capital. We're past a tipping point on both counts. Consider: what's the purpose of robotics? To replace human labor. That's most obvious for automation, but it's true of technologies which don't replace but just augment human labor as well. Better machines, fewer people needed, to do the same amount of productive work. So we need to nationalize a lot more than just universities. There are no longer sufficient market incentives to keep enough of our population viably employed, nor is wealth sufficiently well distributed for it anyway. The lack of candidates to fill all those so-called "good jobs" out there isn't a result of not enough educated graduates, it's a result of not enough U.S. citizens choosing majors that will give them the skills needed for the jobs that do exist. Very few of the "best and brightest" from India and China are coming to the U.S. to study psychology, political science or english. "foreign students are largely subsidized by their governments"
From what I can tell the rise in tuition costs comes almost exclusively from public universities which means it's probably due to states cutting budgets for higher ed more than anything. Here in California we just opened a new UC but tuition costs have increased even more rapidly since, so I don't think it's a supply/demand issue.
" universities require such huge initial investments, and take so long to pay off, that building them is not feasible for the private sector." how are colleges different from other investments with high start-up costs and long lead-times? also, is it really true prestige is not replicable? for enough money, you could hire all the best academics and immediately get the staff that create the prestige...right? Aaron Ansel : "The lack of candidates to fill all those so-called "good jobs" out there isn't a result of not enough educated graduates, it's a result of not enough U.S. citizens choosing majors that will give them the skills needed for the jobs that do exist." In which case we should see skyrocketing wages for trained people with those skill sets; IIRC, we generally don't.
" how are colleges different from other investments with high start-up costs and long lead-times?" First, the lead times are far longer; to get established would probably mean decades. Second, the university wouldn't make much of a profit. And as for prestige, that's something which would also develop (or not) over decades.